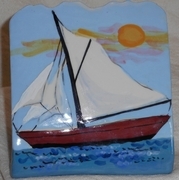 Sail Away/ Business Card Holder- 4"t x 4"w x 3"deep. All sizes are approximate due to the hand made nature of the product. 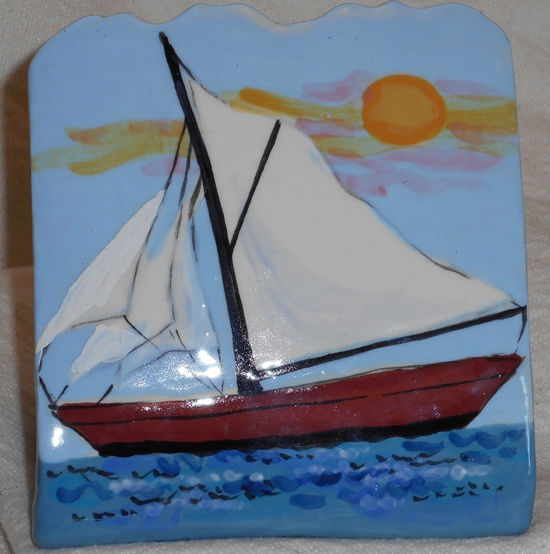 “Sail Away” is written On the backside of this item, but we offer personalization.